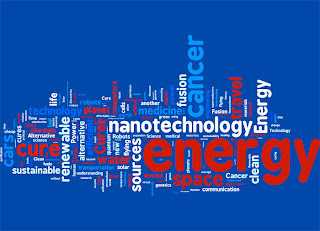 The 21st Century is just beginning but science and technology are moving in blazing speeds. Without the scientists, how could we move? Today, we look at a few of the famous and popular scientists of the 21st century. Who are the movers and shakers of this time? Let's look at a sneak preview of the pioneers and explorers of science in the 21st Century. Some may not sound familiar, others may not show concrete discoveries but these people have brought science to the forefront either by their research or by their advocacy of promoting and spreading scientific knowledge to anyone and everyone. Note: They are listed in no particular order. Andre Konstantin Geim, born 21 October 1958 with Dutch, Russian, and British heritage. A physicist working at the University of Manchester, Geim was awarded Nobel Prize in Physics together with Konstantin Novoselov for his work on graphene in 2010. Graphene is a super-conductive form of carbon, made from single-atom-thick sheets. Graphene consists of one-atom-thick layers of carbon atoms arranged in a two-dimensional hexagon. It is the thinnest material in the world, as well as one of the strongest and hardest and is considered a superior alternative to silicon. And has many other uses. He also researched diamagnetic levitation and in a famous 1997 experiment, he managed to levitate a frog. He has also done research on mesoscopic physics and superconductivity. About his broad range of science that he studies, Geim says, "Many people chose a subject for their PhD and then continue the same subject until they retire. I despise this approach. I have changed my subject five times before I got my first tenured position and that helped me to learn different subjects." Konstantin Sergeevich Novoselov, born 23 August 1974. He is a Russian=British physicist at the University of Manchester as a Royal Society University Research Fellow. He is known for working together with Andree Geim in discovering and studying graphene. Because of their work, they won the Nobel Prize in Physics in 2010.Novoselov is also a recipient of an ERC Starting Grant from the European Research Council. Dr. Novoselov's record includes 49 papers mostly in Physics and Materials Science and has also been cited 3,536 times in a span of twenty years. Dr. Novoselov is a Royal Society Research Fellow in School of Physics & Astronomy at the University of Manchester as well as the Langworthy Professor and director of the Manchester Centre for Mesoscience and Nanotechnology also at the University of Manchester. He received a Diploma from the Moscow Institute of Physics and Technology, and undertook his Ph.D. studies at the University of Nijmegen in the Netherlands before moving to the University of Manchester in the United Kingdom with his doctoral advisor Andre Geim in 2001. According to the ISI Essential Science Indicator, his two papers in Science 2004 and Nature 2005 are the most cited papers on graphene and “have opened up a fast moving front”. The paper in Science 2004 is also acknowledged as “one of the most cited recent papers in the field of Physics”. Here is an interview where Konstantin Novoselov discusses his research on graphene. John Craig Venter was born onborn 14 October 14 1946. He is an American biologist famous for being one of the first to sequence the human genome. He also created the first cell with a synthetic genome last 2010. He now works for the J. Craig Venter Institute which he founded. His current work is focused on creating synthetic biological organisms and also documenting the genetic diversity in the world's oceans. He is listed on Time magazine's 2007 and 2008 issue as part of the Time 100 list of the most influential people in the world. The Global Ocean Sampling Expedition (GOS) is an ocean exploration genome project that will assess the genetic diversity in marine microbial life. It is to understand how the diversity contributes to nature's basic processes. The GOS circumnavigated the globe which started in 2004 and ended 2006. In May 2010, Venter and his team successfully created what they called "synthetic life". They synthesized a very long DNA molecule containing an entire bacterium genome, and introduced this into another cell. This could lead to producing bacteria that can be engineered to perform specific purpose such as create fuel, manufacture medicine, and correct environmental problems like global warming. Stephen William Hawking was born 8 January 1942. He is an English theoretical physicist and cosmologist. His scientific books (specially his runaway bestseller, Brief History of Time) and public appearances have made him a popular pop-icon and academic celebrity. In 2009, Hawking was awarded the Presidential Medal of Freedom, the highest civilian award in the United States. He is known for his research and contributions to the science of cosmology and quantum gravity. He has also achieved success with works of popular science in which he discusses his own theories and cosmology in general. His contributions to science still keep coming in. Together with Roger Penrose, he provided theorems regarding gravitational singularities within the framework of general relativity. He also gave theoretical predictions about black holes emits radiation. This type of radiation is known as the Hawking radiation or the Bekenstein-Hawking radiation. Currently, he is the Director of Research at the Centre for Theoretical Cosmology in the Department of Applied Mathematics and Theoretical Physics at the University of Cambridge as well as a Fellow of Gonville and Caius College, Cambridge and a Distinguished Research Chair at the Perimeter Institute for Theoretical Physics in Waterloo, Ontario. Neil deGrasse Tyson was born on 5 October 1958. He is an American astrophysicist. As stated in his website, He " was born and raised in New York City where he was educated in the public schools clear through his graduation from the Bronx High School of Science. 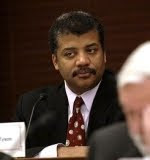 Tyson went on to earn his BA in Physics from Harvard and his PhD in Astrophysics from Columbia.". He is the Frederick P. Rose Director of the Hayden Planetarium at the Rose Center for Earth and Space, and also a Research Associate in the Department of Astrophysics at the American Museum of Natural History. He is part of this list because of his contribution bringing astrophysics and astronomy to the public. He has hosted the educational science television show NOVA scienceNOW on PBS and has been a guest on several TV shows such as The Daily Show, The Colbert Report, and Jeopardy!. It was announced that Tyson will be hosting a new sequel to Carl Sagan's Cosmos: A Personal Voyage TV series. He has made astronomy an interesting subject to people worldwide. 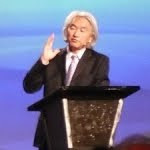 Michio Kaku was born on 24 January 1947. He is an American theoretical physicist. A Henry Semat Professor of Theoretical Physics in the City College of New York of City University of New York, he is also the co-founder of string field theory. Another science communicator like Neil DeGrasse Tyson, Michio Kaku has written several books about physics and related topics. He has also made guest appearances on radio, television, and film. Kaku achieved popularity because of his knowledge and easy approach to explaining complicated science subjects such as time travel and singularities. Although a theoretical physicist, he covers a wide range of subjects such as wormholes and time travel. He considered the theory that the universe was created from nothing as discussed in the TV show, "What Happened Before the Big Bang". There are more scientists out there who have contributed to our society. These are just a few of them. We're still at the dawn of this new century. But our science have moved leaps and strides faster than the previous one. Can't wait to see what tomorrow will bring. Steve Jobs Next Big Thing?